Response: We tested the ability of rats to navigate through an environment, which uses their spatial memory, An example of spatial memory in humans would be navigating to the library from your house. We tested both working memory and reference memory in the spatial navigation assessment. Working memory is a form of short-term memory, and is used when information needs to be updated in real time, when one must “work with their memory.” Reference memory is a form of long-term memory, where information remains constant and is not updated over time. Our results showed that surgical removal of the uterus alone can impair some types of memory in the short term timeframe, when tested two months after surgery. Hysterectomy-induced detrimental effects on memory were specific to working memory, especially when memory was most demanding. Removing the ovaries along with the uterus did not result in a memory impairment. These results indicate a unique negative effect of hysterectomy alone on memory, and suggest that the uterus is part of a system which communicates with the brain for functions such as cognition. We believe there is a uterus-ovary-brain system that may impact brain functions including memory. Although we do not yet understand why hysterectomy impacts cognition, we believe hysterectomy yields a unique disruption in this whole system that is different than the disruption that occurs with removal of just the ovaries. Broadly speaking, these results suggest that the nonpregnant uterus is not quiescent, and may be linked to brain functioning. Response: It is important to determine in future research whether these effects are transient or are long-lasting. It is possible that a disruption to the system results in an adjustment period where the body is trying to acclimate to the loss of the uterus, resulting in an acute, short-term memory impairment as the body and brain adapts. It is also possible that the effects of the uterus loss are long-lasting, with detrimental effects progressing and worsening with time. We are now testing the question of whether the effects are reversible or permanent. We should have an answer to this question in the next year when this follow-up study is completed. At this point, I believe we should think of these findings as one puzzle piece to the bigger picture of how surgeries on the female reproductive tract can impact brain health. We have so much more to learn: how long do the effects last, does age at surgery change the outcome, what brain changes occur that result in the memory effects, and are hysterectomy effects on memory secondary to another biological or hormonal change we have not yet discovered? The results from this research underscore the essential need to further study the contribution of the uterus to overall female health and well being. This includes the study of hysterectomy, with and without ovary removal, on brain and endocrine aging. Further research on women’s health is the only way we will be able to determine the impact of common variations in gynecological surgery. There has been some human research showing that there is an increased relative early-onset dementia risk in women who underwent hysterectomy compared to women with no hysterectomy when the surgery occurred prior to menopause onset, at younger ages. However, there is also a study demonstrating the opposite effect in older women, with a benefit of hysterectomy. The effects of hysterectomy on cognition and dementia risk are poorly understood, and more research is necessary. It has been thought that the effects of hysterectomy shown in women are secondary to changes in the ovaries after surgery. Our work, however, suggests that hysterectomy-induced memory changes are not secondary to hysterectomy-induced ovary changes, since the ovary profiles of the rats with hysterectomy were not different from the ovary profiles of the rats without hysterectomy. It is likely that there are several drivers of these hysterectomy effects, and that these drivers act in certain ways depending on specific health histories and profiles. Response: I think at this stage, we should think of this research as just one piece of the very important and complex puzzle of female health. We have learned a lot about women’s health in the last decade, but we have a lot more to go before the puzzle shows us a clear picture. I hope this research inspires others to become interested in learning about the complexity of the health of the female across the lifespan. While the female body is undoubtedly complex, complex does not mean impossible to understand. This complexity means we must fight for more research studying the female so that we can understand the factors that result in optimal health outcomes, that we must question things that may be uncomfortable at first, and that we must have the courage to overturn dogma when the data deem it necessary. This is how we will discover the truth in nature, and how we can eventually build a full picture of optimizing an individual’s health across the lifespan. 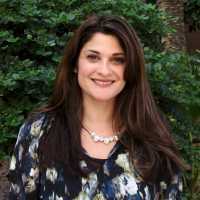 This entry was posted in Author Interviews, Memory, OBGYNE and tagged ASU, endocrinology, hysterectomy, memory, TheEndoSociety, Women's Health by Marie Benz MD FAAD. Bookmark the permalink.